I recently ran my ‘Introduction to Spatial Data & Using R as a GIS’ course for the NCRM at the University of Southampton. This was the first time after I had updated the material from using the SP library to using the new SF library. The SF (or Simple Features) library is a big change in how R handles spatial data. The SF library is relatively new (released Oct 2016) and uses the OGC (Open Geospatial Consortium) defined standard of Simple Features (which is also an ISO standard). This is a standardised way of recording and structuring spatial data, used by nearly every piece of software that handles spatial data. Using SF also allows us to work with the tidyverse series of packages which have become very popular, driven by growth in data science. Previously, tidyverse expected spatial data to be a data frame, which the SP data formats were not, and often created some interesting error messages! Absolutely a great day! The content was accesible and still relevant to all different levels and fields. 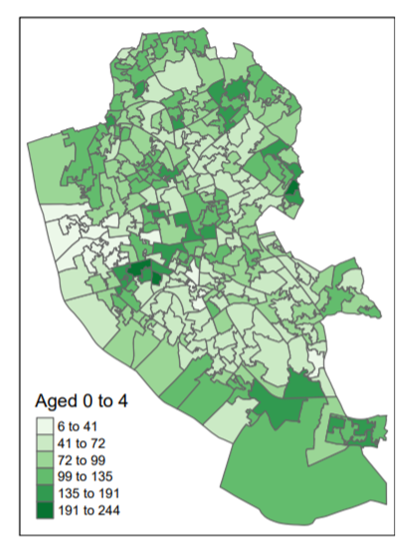 Count of people aged 0 to 4 in Liverpool, 2011 Census Data. However, unfortunately not all spatial analysis is yet supported in SF. This will come with time, as the functions develop and more features are added. In the practical I get the participants to do some Point in Polygon analysis, where they overlay some crime points (from data.police.uk/data) with some LSOA boundaries. I couldn’t find out how to do a working point in polygon analysis* using this data and the SF library, so I kept my existing SP code to do this. This was also a useful pedagogical (teaching) opportunity to explain about SF and SP, as students are likely to come across both types of code! *I know theoretically it should be possible to do a point-in-polygon with SF (there are many posts) but I failed to get my data to work with this. I need to have more of an experiment to see if I can get it working – if you would like to have a try with my data, please do! 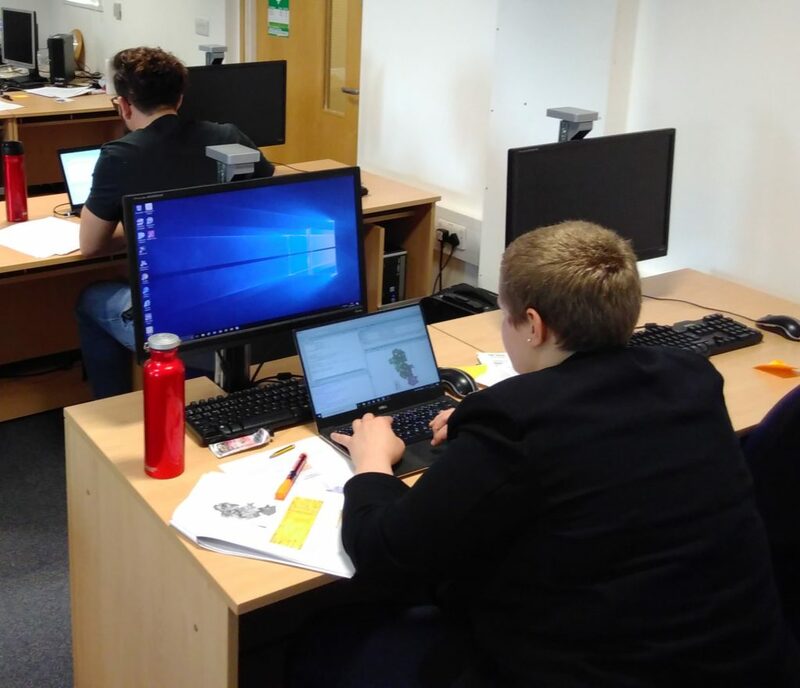 The next course I am running is in Glasgow on 12th – 14th June where we will cover Introduction to Spatial Data & Using R as a GIS, alongside a range of other material over 3 days. Find out more info or sign up. The material from this workshop is available under Creative Commons, and if you would like to come on a course, please sign up to the Geospatial Training Solutions mailing list. This entry was posted in GIS, open source, R, training on 15 April 2019 by Nick.